changed the title from "Snake Eyes" to "G.I. Joe: Ever Vigilant"
Focuses on popular G.I. Joe character Snake Eyes. changed the title from "G.I. 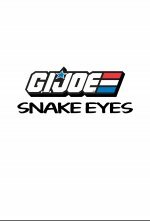 Joe" to "Snake Eyes"
changed the title from "G.I. Joe 3" to "G.I. Joe"
More adventures from the international co-ed force of operatives who use high-tech equipment.